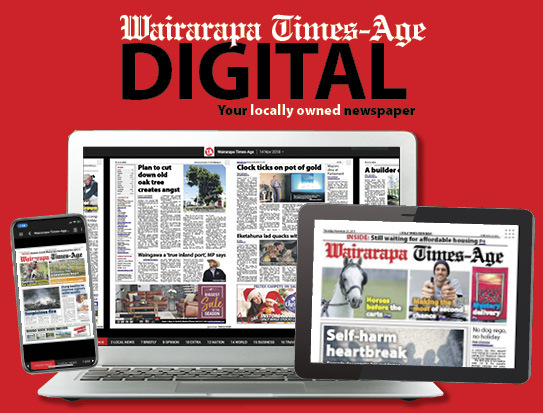 A man who has rendered outstanding service to his country in war and in peace celebrated his 100th birthday in Masterton on Monday, writes Don Farmer. Highly decorated soldier Haddon Donald is the highest ranking New Zealand army officer of World War II still living, having risen to the rank of Lieutenant-Colonel. 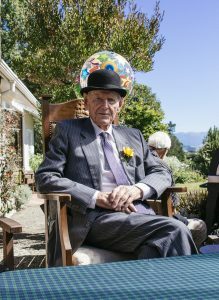 He is also a former MP for Wairarapa, serving in the Holyoake government from 1963 to 1969, and thought to be the oldest surviving ex-member of Parliament. On Monday Mr Donald added a telegram from the Queen to a long list of honours including the Distinguished Service Order, Military Cross, Efficiency Decoration, and an Officer of the Legion of Merit (United States). 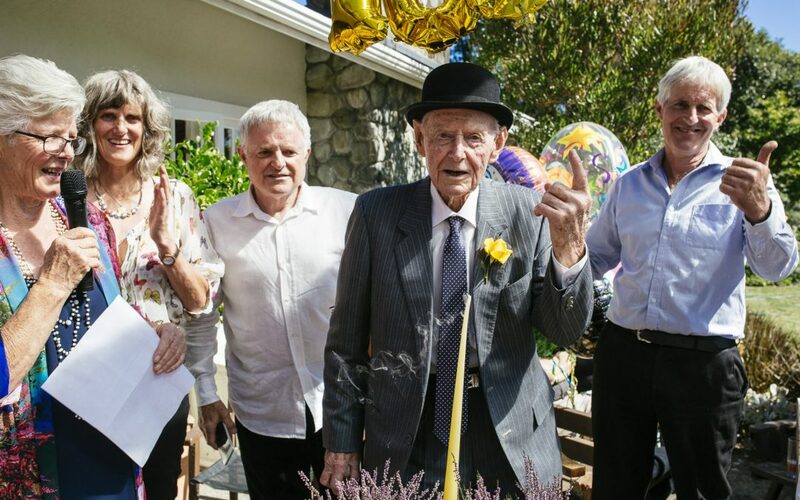 The day before his birthday a party was held in his honour at his Masterton home attended by 145 people, a party described by Mr Donald as “the best I’ve ever been to”. He is no stranger to long living being the last of six siblings, with his brother Val dying at the youngest age of 92 and the longest living being his sister Alison Hansard who lived until she was 103. Mr Donald has now set himself the goal of living “at least another three years” to better his sister’s long earthly tenure. The secret to his own long life is credited to a combination of factors. 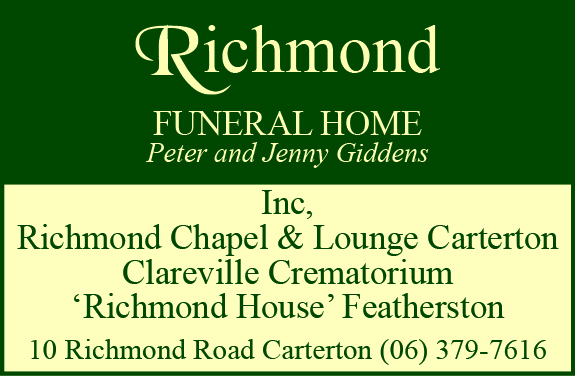 Mr Donald said his four children Robyn, Rhodes, Andrew and Fiona had contributed enormously, as had his lifelong love of gardening and outdoor pursuits, and his passion for being a hunter and gatherer. He has never smoked and has only ever been a “moderate” drinker. In business he worked for 50 years in the family firm Donald Presses Ltd, being company chairman for 16 of those years, and in sport he was five times captain of New Zealand’s representative rifle team. His war record is peppered with achievements and acts of outstanding bravery, especially during his time on Crete and his actions, and that of the 22nd battalion, defending Maleme airfield. He also fought in the North African and Italian campaigns and was wounded four times, the worst being when he was “blown up” by an artillery shell. In politics Mr Donald stood successfully for National in the Wairarapa electorate in 1963 after the retirement of Bertie Cooksley, who had been the party’s MP here for five terms. He headed off Labour challenger Jack Williams by 501 votes, and went on to repeat the dose in 1966 against the same Labour candidate with a majority of 533. But in 1969 the tables turned and the persistent Mr Williams ousted Mr Donald by 467 votes. Among messages of congratulations came one from Australia’s Gold Coast from a fellow World War II commander who fought with the New Zealand army in the Battle of Crete. Major-General Sandy Thomas, 97, has previously gone on record criticising the leadership of the New Zealand Second Expeditionary Force on Crete, views not shared by Mr Donald, but on Monday that was not a topic of conversation. Speaking to the Times-Age Mr Thomas said he wanted to congratulate Mr Donald on reaching his 100th birthday. “Well done, Haddon,” he said. Mr Thomas said Mr Donald “is a good man and was a good soldier”. Mr Donald was born in Masterton and has lived the bulk of his life in the town although he did retire to Taupo, but moved back to his hometown about three years ago. His wife Ana (nee Beetham) died in 2014 and is buried in Masterton. Congratulations Haddon on a wonderful life well lived. Love from your nieces (by marriage) Rosemary n Heather Richardson and their families. Wish Aunt Tom was here to share your day. Congratulations Haddon. You are a wonderful gentleman who lived life as a modest hero. You exemplified that at golf. Steely determination, not a cross word but always jovial. Golf is like life…you think you have it by the throat one week and the next you think you’ve never played before. It was a privilege to play golf with you and Ewen Bidwill another might totara. Congratulations Haddon from the Turner Family your cousins by marriage. Hearty congratulations.You always led by example. I well remember your election campaign advice to Wairarapa farmers to diversify. You proved it in life as a soldier, officer, shooter and successful businessman. Best wishes for continuing good health. From former journalist Lindsay Sim, Kippa-Ring, Queensland. My husbands father David Masters Sweeney worked alongside Haddon in the army, being a member of the 22nd battalion and with him in Crete and I imagine other places. Dave was not much on talking about the war and sadly died at the age of 72. My husband Barry and his brother Peter tho well remember him talking about Haddon Donald as one of his compatriots in terms 22nd Battalion. 100% respect to you Sir for your lifetime achievements. A great read for me, thanks, and congratulations Haddin on reaching another milestone in life.